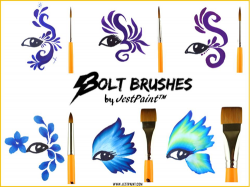 Bolt No 3 Liner brush is perfect for teardrops and swirls and twirls! The total length of the No 3 Liner is about 6 1/2" long. Had a play with this and immediately didn't like it. 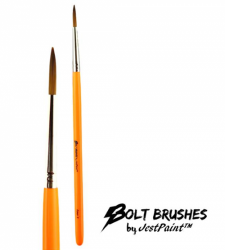 The neon orange handle looks like plastic and some of the bristles are at funny angles. I hoped to use it for thicker outlining but it doesn't give the cleanest line.